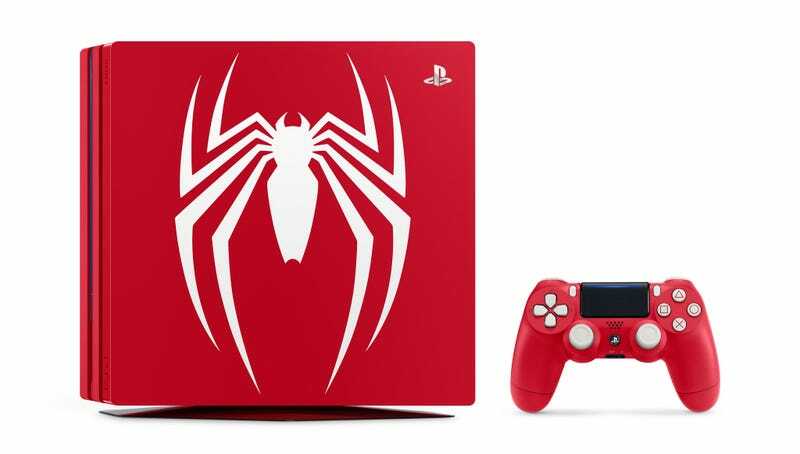 On September 7, Sony will be releasing this Spider-Man PS4 console in the US and Canada. It’ll cost USD$399/CAD$499. The bundle includes a Spider-Man themed PS4 Pro console, DualShock and a copy of Insomniac’s Spider-Man game. We used to get a lot of custom, limited edition consoles, whether they were colour schemes or branded offerings like this. We don’t these days (Microsoft seems intent to only release them as contest prizes, not commercial products), which is a damn shame. More, please, from every company!